What’s the best vegan yoghurt alternative? Coconut yoghurt is naturally thick and creamy, meaning that few thickening agents or stabilisers are required to create the delicious texture. 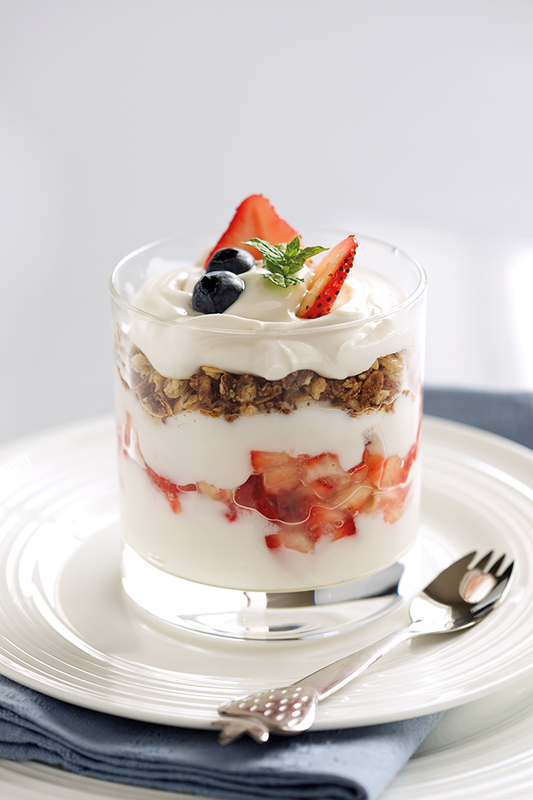 What’s more, coconut yoghurt is low in sodium and sugar. The sweetness of coconut yoghurt means it may be slightly too flavoursome for certain savoury dishes and individual palettes. The high-fat content in coconut yoghurt also makes it a delightful ingredient to enjoy by the spoonful, and not the tub. Brands: Coconut Collaborative, Koko Dairy Free. Taste: Coconut yoghurt is thick, rich, creamy and extremely moreish! Usually made from a combination of coconut cream and full-fat coconut milk, there is a slight coconut-y taste to this yoghurt, with a sweeter flavour note contrasting the sharpness of the yoghurt in a perfect balance. Typical nutrition per 100g: 131 Kcal, 11.5g Fat, 1.2g Protein. Soya yoghurt is extremely low in calories, whilst providing a creamy base for the addition of other flavours such as vanilla and fruit. 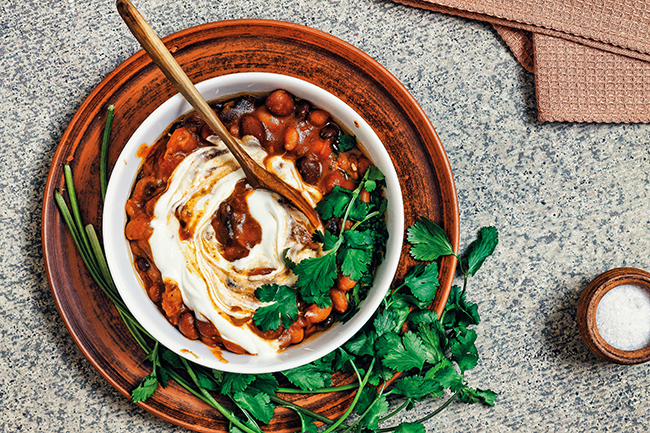 You can use soya yoghurt in a variety of recipes, and it works well in savoury dishes such as pasta sauces and chilli. 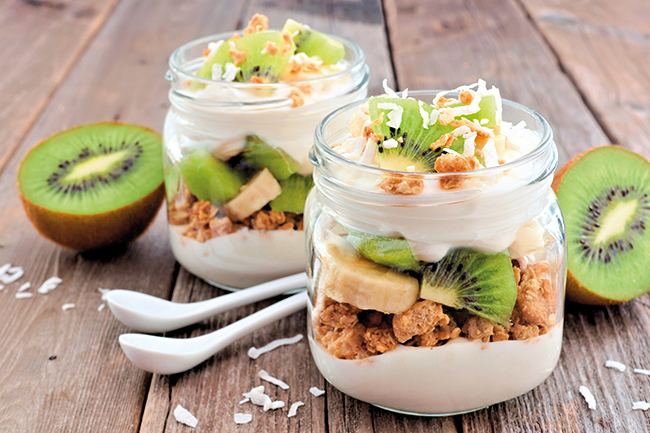 The sharp nature of the yoghurt often lends itself towards the addition of sugar by manufacturers, which can offset the beneficial nutritional value of the yoghurt itself. Look for soya yoghurts with no added sugar, as these can be sweetened by the addition of fruits and syrups at home if required. Brands: Alpro, Provamel, Tesco’s Free From, Sojade. Taste: Soya yoghurt has a tart flavour similar to that of plain dairy-based yoghurt, and has a medium thickness which is somewhat pourable. Typical nutrition per 100g: 43Kcal, 2.3g fat, 4.0g protein. Cashew yoghurt is naturally creamy, without the requirement to add excess thickeners. You can use cashew yoghurt in many recipes, from pasta sauces to savoury toppings on pizza and even as an addition to salads dressings. Cashew yoghurt is quite a niche product, therefore it can be a little pricey to purchase and not readily available from all shops. You’ll need to scour the aisles or shop online to find this probiotic gem! Taste: Cashew yoghurt is naturally thick, creamy and extremely silky. The taste is somewhat similar to that of cashew cream — slightly sweet and subtly nutty. Typical nutrition per 100g: 98Kcal, 7.9g fat, 3g protein. Almond milk yoghurt is high in vitamin E, which is essential for increasing skin health and vitality. There are also quite a few brands which carry almond milk alternatives, making this yoghurt pretty readily available in UK supermarkets and wholefood shops. Due to the nut content, almond milk yoghurt is unsuitable for vegans with a nut allergy. Brands: Nush, Alpro, Provamel, The Almond Collaborative. Taste: Slightly nutty and a little sweet — the taste of almond milk yoghurt slightly resembles that of marzipan. The sharp taste will vary per brand, but the higher the content of almonds, the creamier the yoghurt will be. Typical nutrition per 100g: 97Kcal, 7.9g fat, 2.3g protein. 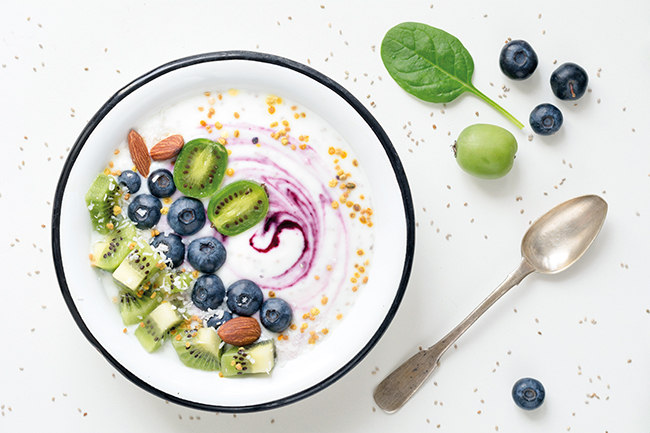 Hemp yoghurt is very low in sugar and is ideal for anyone with a soya or nut allergy, whilst being rich in heart-healthy omega 3 fatty acids. Hemp yoghurt is not readily available in supermarkets at present, although you can buy it at planetorganic.com. Taste: Hemp yoghurt is slightly bitter, but will be rich and satisfying all the same. There is a sharpness about hemp yoghurt due to the lack of sweetness from the seed. Typical nutrition per 100g: 38Kcal, 2g fat, 0.6g protein.